I pray for the Spirit of the Lord while I speak to you on this sacred occasion. President Ezra Taft Benson is the only one who exercises all the keys of the kingdom. In addition, we sustain fourteen others as prophets, seers, and revelators. President Benson’s mighty influence is felt in many ways. 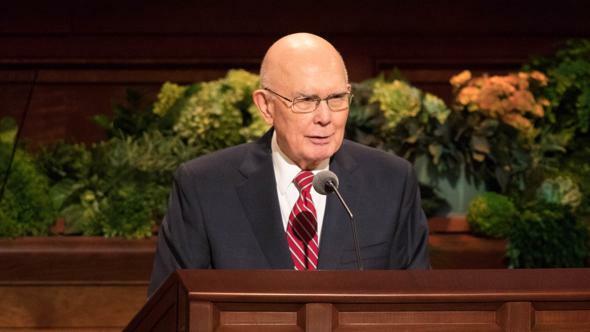 His timely and inspired counsel to read the precious Book of Mormon brought an added appreciation of this sacred scripture to all who followed his direction. 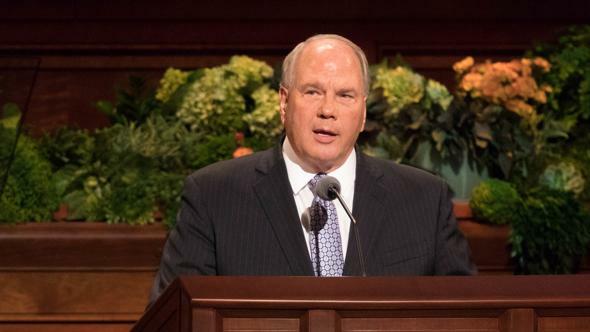 A few weeks ago I witnessed President Benson’s radiating power in a sacred room in the Salt Lake Temple when a granddaughter of his was married. As he came into the room, I observed his infirmities of age because he is ninety-four years old. 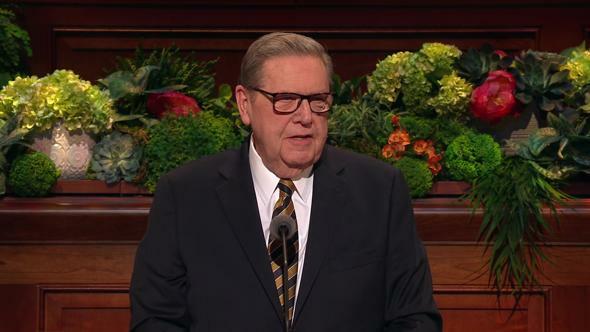 All stood to honor him as the prophet and President of the Church. He brought with him a great spirit of warmth, love, and peace. In this day of confusion and anxiety about the well-being of our nation and the entire world, we should pay attention to the exemplary and noble life of President Benson and to his writings and sermons as President of the Church. I would like today to emphasize the divinity of our Lord and Savior, Jesus Christ (see Alma 42:16). We live in a day when Lucifer’s influence is greater than we ever have known in our lifetimes. In terms of the sin, evil, and wickedness upon the earth, we could liken our time to the days of Noah before the flood. No one is immune to affliction and difficulty, whether it be economical, emotional, or spiritual. Immorality, violence, and divorce, with their accompanying sorrows, plague society worldwide. The only way to find peace, happiness, and security and to overcome the evils of the world and temptations of this generation is in the gospel of Jesus Christ. Jesus is the head of his church, the Creator of the universe, the Savior and Redeemer of all mankind, and the Judge of the souls of men. Who he is and what he does affected each of us before we were born and will affect us each day of our mortal lives and throughout the eternities. Much of what he is and does is beyond finite human ability to comprehend, but the Holy Ghost has borne witness to my soul of their reality. 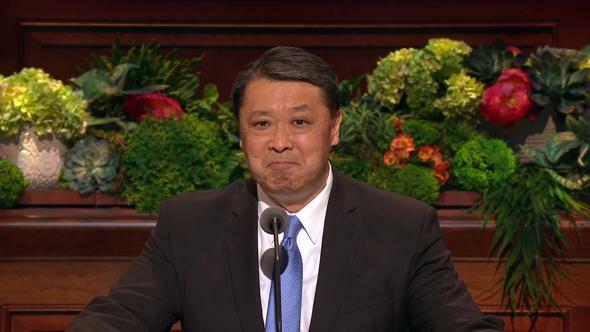 I am grateful to know that our Lord and Savior stands at the head of this church and directs it through his servants. This is the Lord’s church; it is not a church of men. The Brethren of its presiding councils are called of God; their only motive is to serve according to his will in humility “with all [their] heart, might, mind and strength” (D&C 4:2). For if a church be called … in the name of a man then it be the church of a man; but if it be called in my name then it is my church, if it so be that they are built upon my gospel” (3 Ne. 27:7–8). To the Prophet Joseph Smith, the Lord revealed that in the last days his restored church should be called The Church of Jesus Christ of Latter-day Saints (see D&C 115:4). “But only an account of this earth … give I unto you. … There are many worlds … that now stand, and innumerable are they unto man; but all things are numbered unto me, for they are mine and I know them” (Moses 1:33, 35). 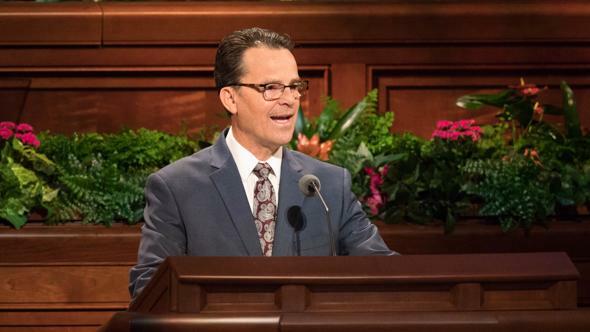 “For behold, this is my work and my glory—to bring to pass the immortality and eternal life of man” (Moses 1:39). God said also: “Mine Only Begotten is and shall be the Savior” (Moses 1:6). 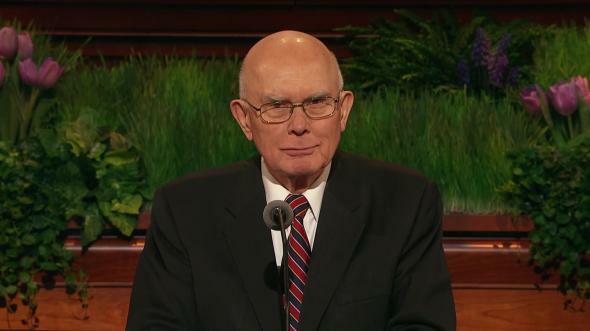 The immortality and eternal life of man is brought to pass by the atonement of Jesus Christ, our Savior and Redeemer. It is “the most transcendent act that ever has occurred or ever will occur among the children of the Father.”2 It is an act of love for which we should be more grateful than for any other blessing or gift of God. The Atonement provides immortality to every person; immortality is infinite and universal. It provides the opportunity for eternal life, the kind of life that God lives, to those who have faith in Christ, repent of their sins, and obey the laws of the gospel. In a miraculous way, the Atonement saves and redeems us from the effects of the fall of Adam, both temporal death at the end of mortality and spiritual death, the separation from our Father. Only Jesus, because he is the Only Begotten Son, could make the infinite and eternal atonement so we can be at one with our Heavenly Father. When Jesus was born into mortality, his parents were God the Eternal Father (see 1 Ne. 11:21) and Mary, whom Nephi saw in a heavenly vision as “a virgin, most beautiful and fair above all other virgins” (1 Ne. 11:15). He is God’s Only Begotten Son, the only one who ever has or ever will be born on earth of such parentage. Because of his mortal nature, inherited from his mother, he had “the power of mortality, which is the power to die, … to separate body and spirit.”3 Because of his divine nature, inherited from his Father, he had “the power of immortality, which is the power to live forever; or, having chosen to die, … to rise again in immortality.”4 The Savior said: “I lay down my life, that I might take it again. “No man taketh it from me, but I lay it down of myself. I have power to lay it down, and I have power to take it again” (John 10:17–18). “Then shall he say also unto them on the left hand, Depart from me, ye cursed, into everlasting fire, prepared for the devil and his angels” (Matt. 25:31–34, 41). Considering all that Jesus is and all he does for us, what should we be doing to show our appreciation? We should go far beyond knowing about Jesus and about his attributes and mission. We should come to “know … the only true God, and Jesus Christ, whom thou hast sent” (John 17:3). “It is one thing to know about God and another to know him. We know about him when we learn that he is a personal being in whose image man is created; when we learn that the Son is in the express image of his Father’s person; when we learn that both the Father and the Son possess certain [specific] attributes and powers. But we know them, in the sense of gaining eternal life, when we enjoy and experience the same things they do. To know God is to think what he thinks, to feel what he feels, to have the power he possesses, to comprehend the truths he understands, and to do what he does. Those who know God become like him, and have his kind of life, which is eternal life.”6 In other words, to possess a knowledge of Christ, we must become as he is. We become “partakers of the divine nature” (2 Pet. 1:4). He instructed his Nephite disciples: “What manner of men ought ye to be? Verily I say unto you, even as I am” (3 Ne. 27:27). Imagine for a moment the result if everyone were to love one another as Jesus loves his disciples. We would have no bickering, quarreling, strife, or contention in our homes. We would not offend or insult one another either verbally or in any other way. We would not have unnecessary litigation over small matters. War would be impossible, especially war waged in the name of religion. “Behold, I am Jesus Christ, whom the prophets testified shall come into the world” (3 Ne. 11:9–10). “After the many testimonies which have been given of him, this is the testimony, last of all, which we give of him: That he lives! “For we saw him, even on the right hand of God; and we heard the voice bearing record that he is the Only Begotten of the Father” (D&C 76:22–23). 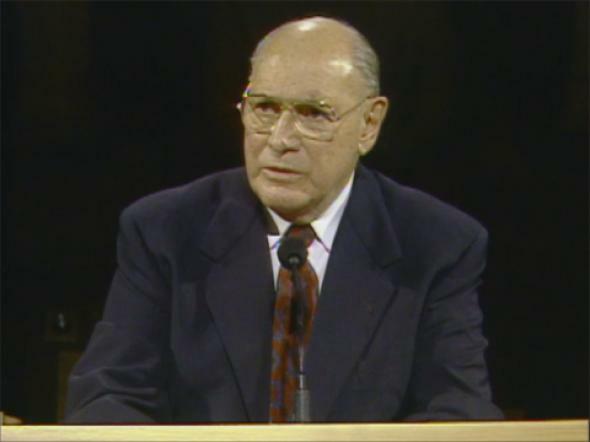 I was fortunate as a young boy attending ward testimony meetings to hear the fervent testimonies of older ward members. Now I counsel you who are more mature spiritually to bear your witness of the truth of the gospel; of the reality of the Savior and his love for each of us; and of the divine calling of his prophets, seers, and revelators. Your witness will develop testimonies in younger people as the members of my ward did in me. Parents should bear testimony frequently to strengthen conviction in the hearts of their children. 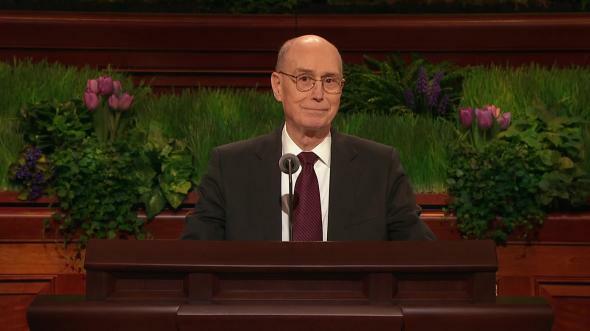 I am humbly grateful to be one of the “special witnesses of the name of Christ in all the world” (D&C 107:23). I know that he lives. He is with us, and we can feel his influence in our lives if we are obedient, conform to his teachings, and are prayerful. 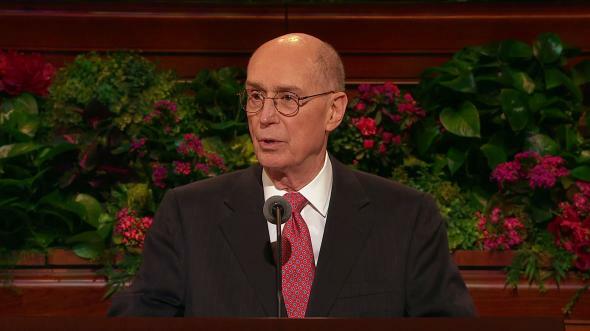 He wants each of us and the Church to succeed and wants members of the Church to carry his teachings to the world. 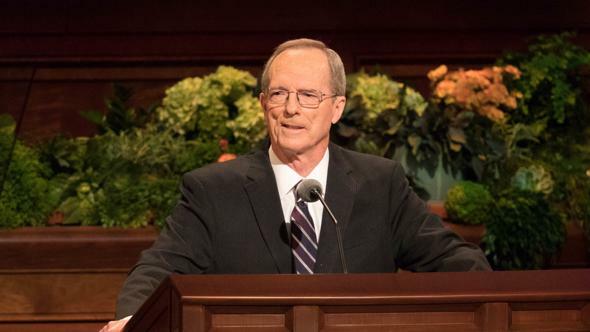 The Church is the structure through which he can give to the world his message of hope, the hope of salvation, the right to live with our Heavenly Father and his Beloved Son forever. Our Heavenly Father lives and loves each of his children. I testify that Joseph Smith is a prophet of God, as are each of his successors through President Ezra Taft Benson, our present prophet. I bear this witness in the sacred name of Jesus Christ, amen. How Will Our Children Remember Us? Carl Sagan, Cosmos, New York: Random House, 1980, pp. 4–5, 7, 10. Bruce R. McConkie, The Millennial Messiah, Salt Lake City: Deseret Book Co., 1982, p. 15. Bruce R. McConkie, The Promised Messiah, Salt Lake City: Deseret Book Co., 1978, p. 471. Bruce R. McConkie, Doctrinal New Testament Commentary, 3 vols., Salt Lake City: Bookcraft, 1965–73, 1:762.